How Do You select which plants to use? Gardening in cradle graves is essentially container gardening. Our plant list includes varietals that are well suited to grave gardening in terms of size and growth habit, prioritizing plants that would have been common in the Philadelphia area in the latter half of the 19th century. This ever-growing list is informed by historical sources, including plant lists and catalogs from nearby sites and nurseries active in the botanical scene in the 18th and 19th centuries. 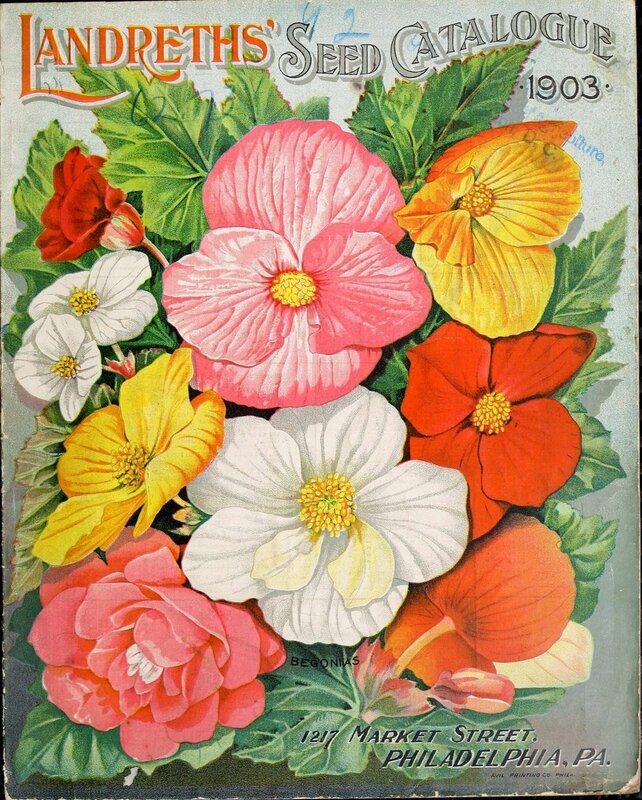 As a major hub for early horticulture and botanical study, Philadelphia attracted a number of early florists and nurserymen who produced catalogs of commercial plants and flowers that provide a great resource for understanding what was available at the time. A number of these influential botanists and nurserymen were later buried at The Woodlands! Through the plant list we also highlight the 18th century history of The Woodlands, when it was the estate of plant collector William Hamilton. Just short of a mile from Bartram’s Garden, which is considered to be the first botanical garden in the country, The Woodlands was also a destination for prominent naturalists, once boasting a massive greenhouse complex which contained more than 9,000 exotic species. Hamilton frequently corresponded with contemporaries like William Bartram, Thomas Jefferson, and George Washington about plants and was the first to introduce numerous plant species to North America that are now considered common garden plants, including the China red rose, blue hydrangea, and gingko tree. As a result of this rich botanical history of the site, our plant list is full of perennials, annuals, roses, bulbs and ferns, many of which have specific local ties to places and people connected to the history of The Woodlands. Though cradle graves are ubiquitous throughout Victorian cemeteries, The Woodlands does seem to have a remarkably high concentration of them. An excerpt from a guidebook to Philadelphia from the 1850's specifically mentions cradle graves, referring to them as "tombs in the French style." We provide our gardeners with all of the soil, plants, seeds and bulbs they need to keep their gardens full and beautiful all season long. Though our recommended plant list is a guideline, using period-appropriate, heirloom varieties is a key aspect of the program. Starting our own plants from seeds and sharing perennials that can be split as they mature is a great way for us to generate plenty of plant material for a relatively low cost. 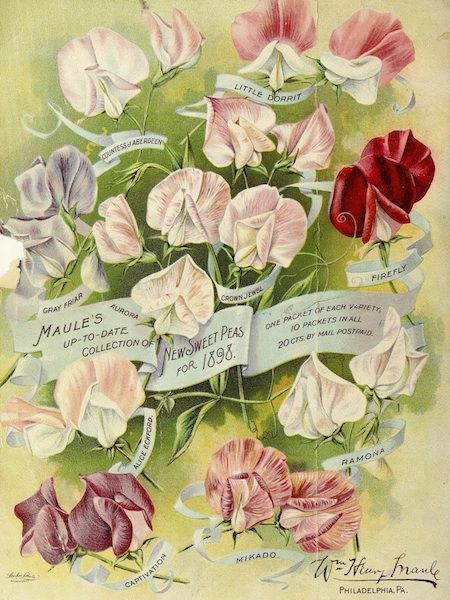 We do an initial seed order each season from a variety of heirloom seed suppliers. Seeds and plugs (which we start in greenhouse space generously shared with us by the University of Pennsylvania) are then distributed at garden work days. We also have a big load of mushroom compost and topsoil from our partner Laurel Valley soils delivered at the beginning of the season and we supplement our plants with native perennial plugs from our partners at North Creek Nursery. We love how much creativity this project brings out. The Victorian aesthetic is over-the-top, fun, and forgiving. We’ve had gardeners seek inspiration for planting schemes from Victorian gardening books, tombstone imagery, and even details from their grave residents’ lives and history!